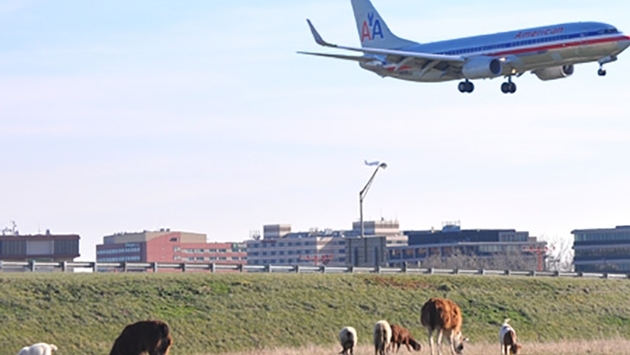 Chicago aviation officials say 37 goats, sheep, llamas and burros were very effective at clearing scrub from 120 acres of hard-to-maintain land on property at O’Hare International Airport. Last year, the airport identified four areas that needed a good mowing but were difficult to groom — hilly areas along creeks or streams and roadway right-of-ways overcrowded with dense vegetation. The sites, far from or separated by security fences from the airfield, were cleared by the animals from August until mid-November. And they’ll be back in the spring. “The use of a grazing herd provides economic, environmental and operational benefits for the airport and the community,” says CDA commissioner Rosemarie S. Andolino. 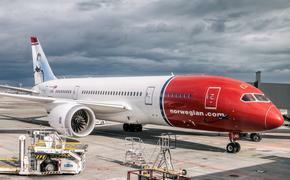 Similar programs have been implemented successfully at Seattle, San Francisco and Atlanta airports. The grazing program will cost a maximum of $100,000 when the current contract expires at the end of 2014. The contractor, Central Commissary Holdings, partnered with Settler’s Pond, a no-kill shelter in Beecher, Ill., that specializes in the rescue of farm and exotic animals. The animals returned to Settler’s Pond for the winter. Follow Theresa Norton Masek on Twitter @cruiseapalooza.